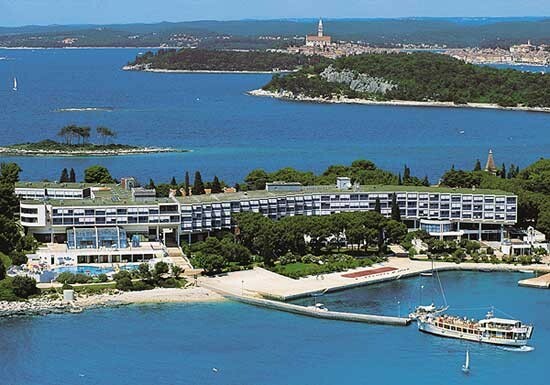 Hotel Istra is situated on one of the most beautiful islands of the Rovinj Archipelago, on the island of Sv. Andrija (ST Andrew), only ten minutes by boat from Rovinj. 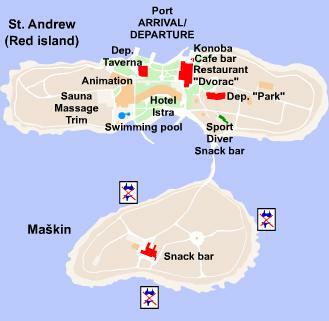 The hotel and the island make a magnificent oasis of peace created for rest and relaxation. The hotel’s modern design harmoniously incorporated in the natural surroundings, the beautiful gravelly and rocky beaches, the preserved cultural heritage in the Old Castle, the spectacular wellness center, kilometers of organized promenades and full traffic isolation make this hotel unique. All accommodation units are equipped with air conditioning, sat&pay TV, mini bar, safe, telephone, Internet.